The Old River Parent Teacher Club is sponsoring a Rummage Sale at Old River Elementary School. 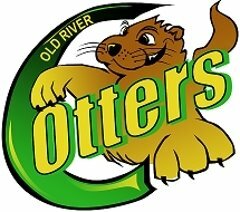 All proceeds will go towards the Save Old River Fund, to help keep Old River Elementary School open next year. We are currently accepting applications from anyone who would like to sell garage sale items, crafts, etc. at the Save Old River Flea Market. To reserve a spot, please submit the application with your payment of $25 to Old River Parent Teacher Club (ORPTC) at the Old River School office. Sellers keep all proceeds of their sales (however, any additional monetary donations will be gratefully accepted). ORPTC will be advertising this event in the community. You will be provided a space to sell only. If you would like to bring tables, chairs, etc. to display your merchandise, feel free. Refreshments will be sold by the ORPTC during the event.